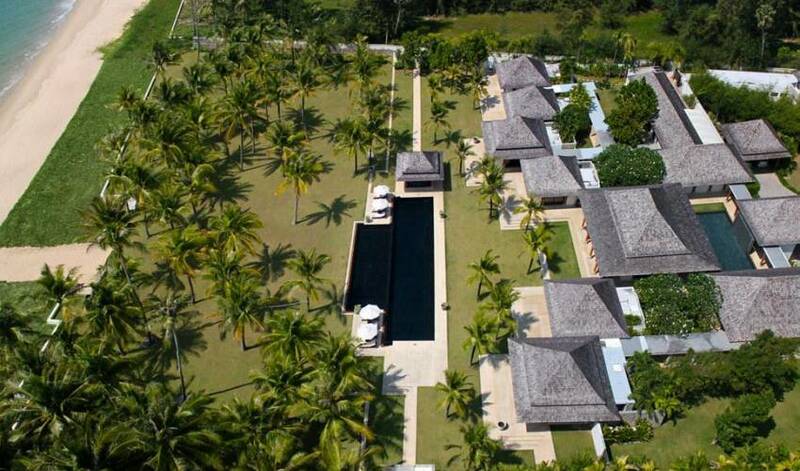 Ananda at Jivana Villas sits on over 9,500 sq.m. 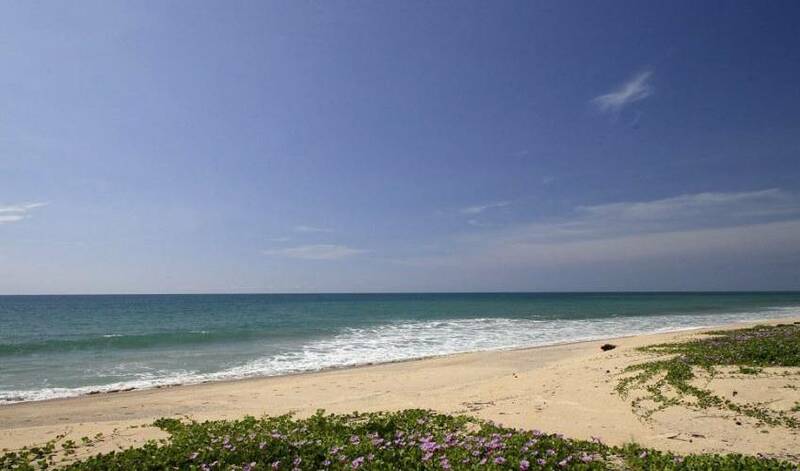 of absolute beachfront land offering sweeping views of The Andaman Sea. Sunsets are a very special time at the villa with gorgeous burnt orange and purple colours protruding from the twilight skies. The layout is designed to ensure guests comfort and fulfilment is optimized, with over 80 metres of total beachfront and manicured tropical gardens that provide a multitude of places to stretch out and relax and enjoy both the sun’s rays or the gentle sea breezes whilst chilling-out in the shade of a coconut tree or whilst meditating under the beachside Sala. 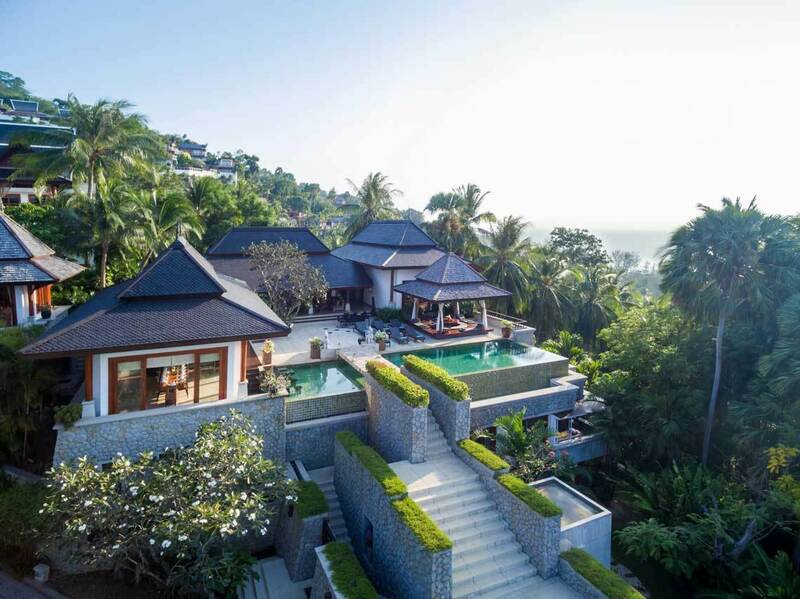 The villa is laid out with 3 individual pavilions, each with pool and ocean views and designed with an overall contemporary Thai style, a fourth pavilion hosts the kitchen, kid’s residence and staff quarters. When stepping in through the wide opening entrance gates, the waterfall and lotus pond are the first hint of the peacefulness one will find in this tropical home. On either side of the courtyard is the Family room, complete with a flat-screen LCD TV, DVD player and surround system, a library and game table and, opposite is the extremely large and well-equipped kitchen. Designed to create delights for a small dinner party or cater for a serious event. A reverse osmosis water filtration tap has also been installed for clean fresh drinking water at all times. 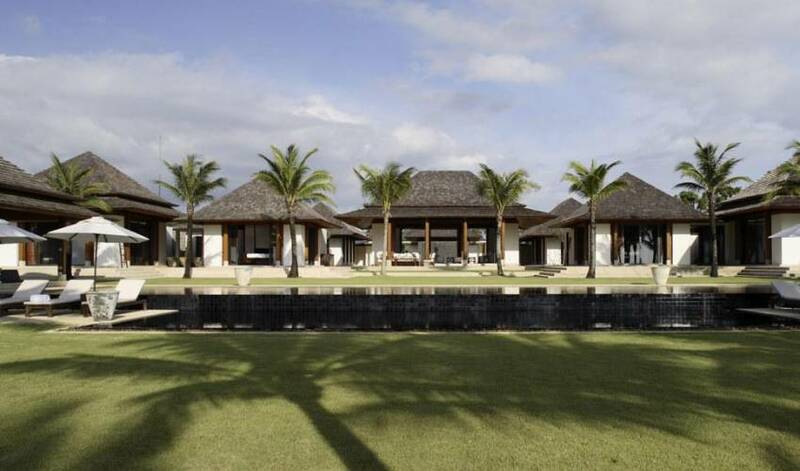 The centerpiece of this magnificent home is "The Great Room", the large open plan living/dining pavilion. Its glass doors slide into pocket walls, maximising the indoor/outdoor feeling of the room which opens onto a large covered deck. 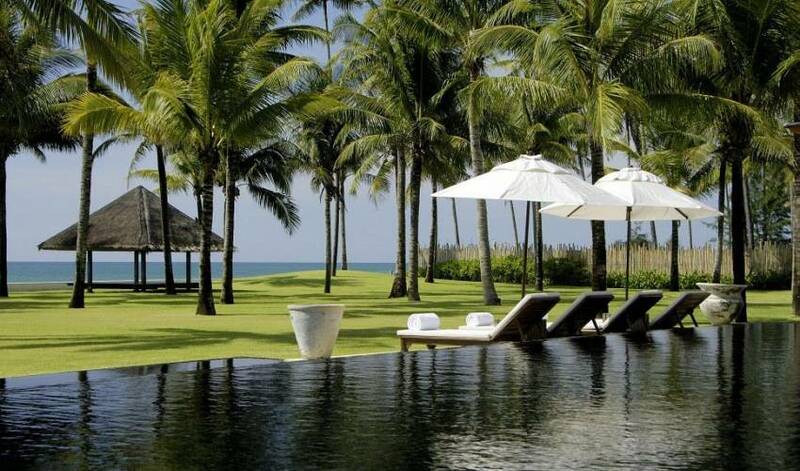 The view to the lap pool, uncluttered garden and ocean is just enough to make anyone relax and savor the moment. 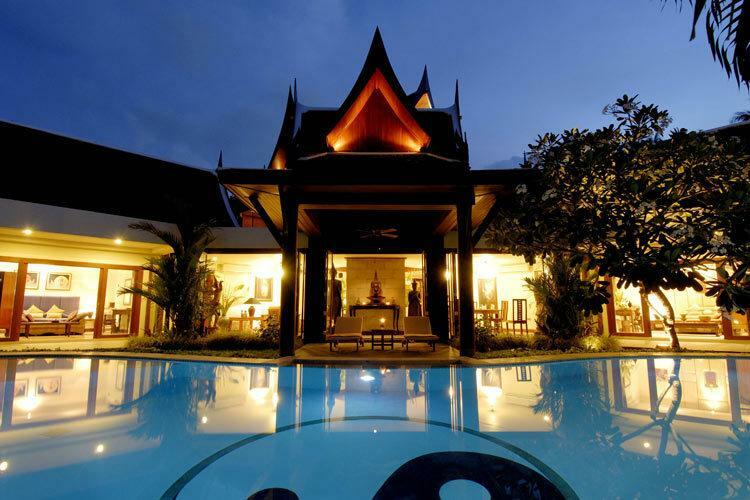 "The Great Room" sits in between two other pavilions, one of which hosts four double bedrooms, the other a master-suite, and office, both with garden baths. 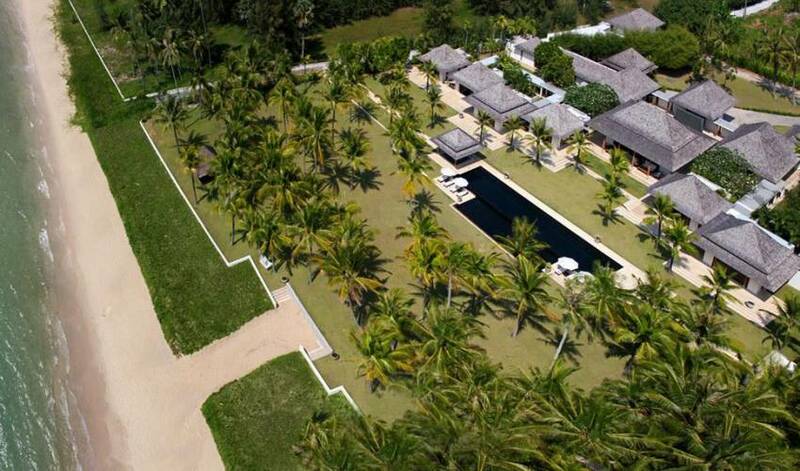 From all the terraces, guests look onto the expansive lawn and coconut grove that remained untouched. Each bedroom has an en-suite bathroom with an outdoor garden. The bedrooms are fitted with the best facilities and amenities and the owners have privileged tranquillity and relaxing as opposed to having a TV. 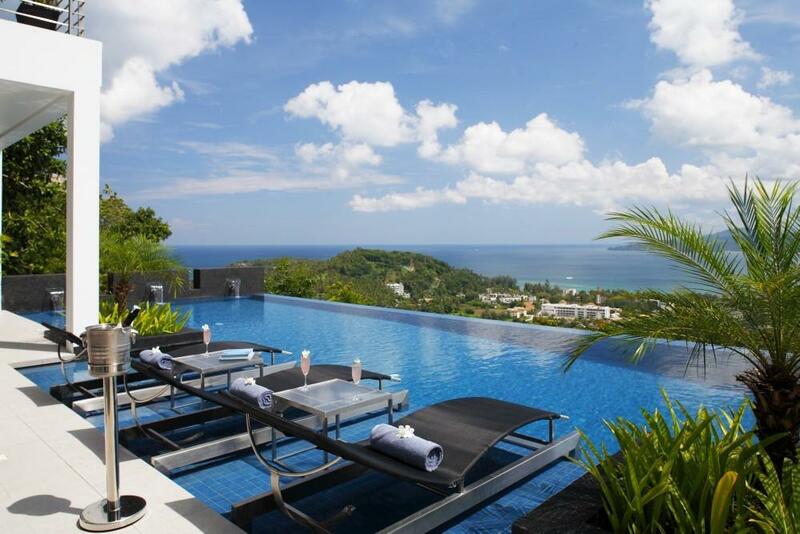 Wireless internet is also available in the main living areas and office within the villa. Adjacent to the kitchen is the dedicated children’s room with two double bunk beds and child-friendly bathroom. Here there is ample room for the kids to play and rest away from the main part of the house but in a secure and safe environment. Attached to the children’s bedroom is a Nanny’s quarters, so a watchful eye is never too far away. 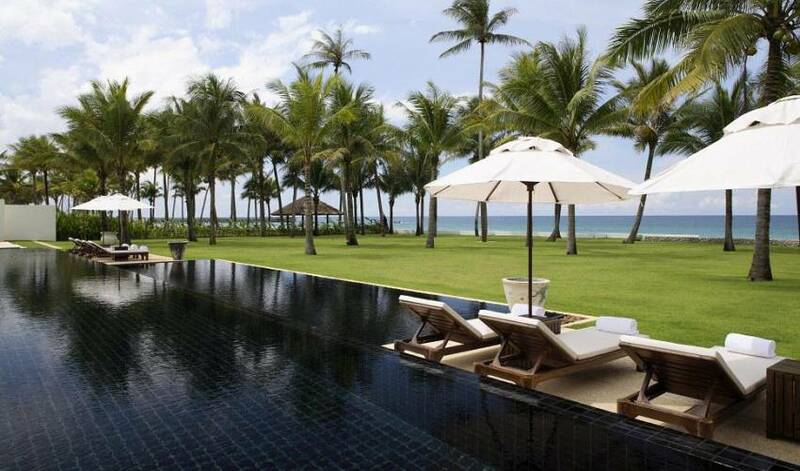 The double decadence of the 25-meter split level black tiled infinity pools which overflows into a shallow pool ideal for children is the main appeal in the garden, completed with day beds and comfortable sun lounges. At one end of the pool is an outdoor covered dining Sala seating 12 people. 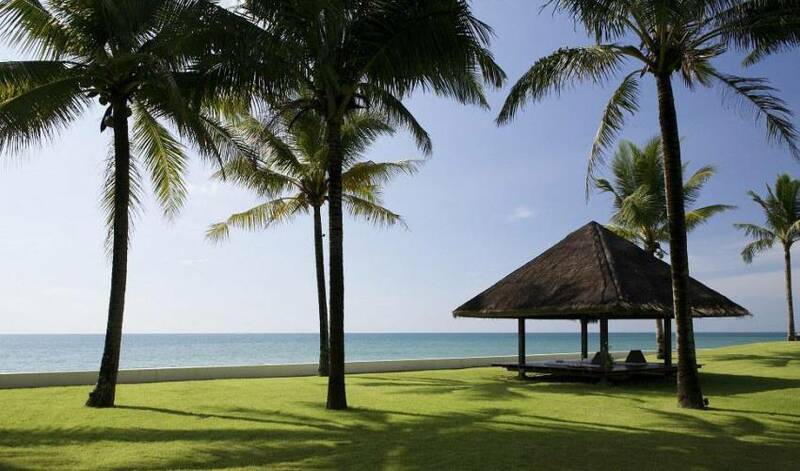 A favourite to all guests is the sunset Sala by the beach which is also used for massage, yoga, sundowners or simply an afternoon siesta.